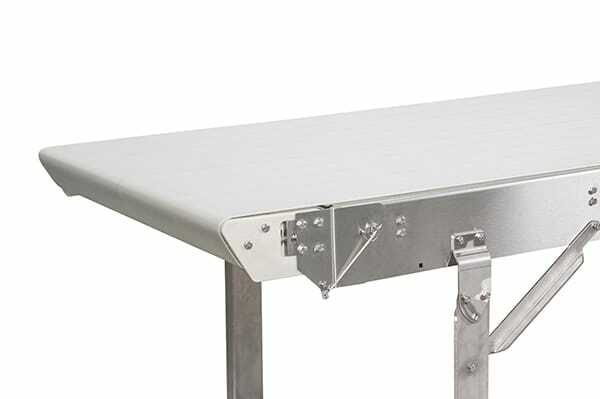 With an improved frame design, added features, and a new positive drive option, Dorner’s Next Generation AquaGard 7350 (V2) Series is the most advanced stainless conveyor for dry, wipe down and wet environment applications. Attendees will get a first look at the newly redesigned conveyor, which is launching this fall, in booth N-4936 at PACK EXPO 2018, Oct. 14-17, at McCormick Place in Chicago. Dorner’s AquaGard and AquaPruf sanitary platforms are engineered with strong hygienic designs that minimize product debris from entering the food zones, and allow for fast and effective sanitation. The improved frame design on the AquaGard 7350V2 provides more strength around the tail sections of the conveyor, and better drive support for superior performance.